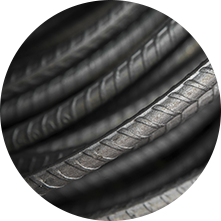 Re-Steel acquired the assets of Bethlehem Rebar Industries, Philadelphia. - Re-Steel Supply Company, Inc.
Re-Steel acquired the assets of Bethlehem Rebar Industries, Philadelphia. 1988 Re-Steel acquired the assets of Bethlehem Rebar Industries, Philadelphia.